Just a small mish mash of big things this week. 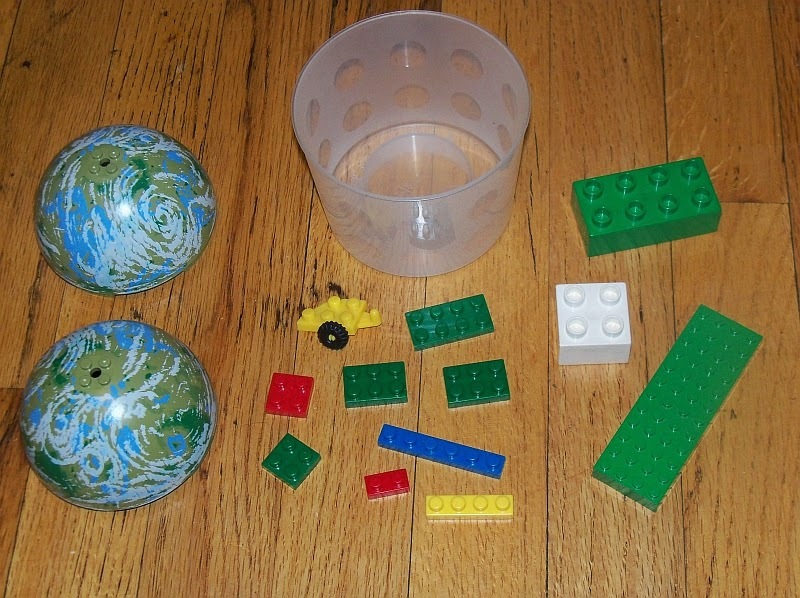 A complete Endor IV planet, a small Pick A Brick cup, and a couple of DUPLO pieces. Pro-tip: In a pinch, a 4x12 LEGO brick will suffice for a 2x6 DUPLO brick. Then there were these other pieces that I finally decided to grab. After some interweb-surfing, they appear to be DIABLOCK. Is that Die-A-Block or Dee-A-Block? 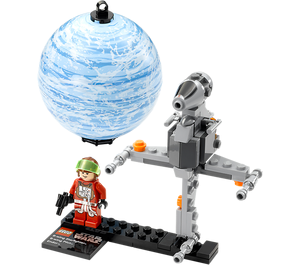 Many thanks to varko.cz who was able to ship me this and other Star Wars planet sets for a great price. I was excited to sink my teeth into these sets, not simply because they weren't slated for US release, but also because I love me some Star Wars and mini mashups. I'm sad to see this line ended. We'll see how the new recruitment line fares come 2014. The B-wing intrigues me. Primarily because of any lack of a B shape whatsoever. The X-wing makes sense. Maybe that's the only one that does. A-wing is a name only but Y-wing's namesake could also be contrived in a top down view. But I digress. I'm also intrigued by the fact that this is a starfighter. I'm so used to the myriad of Jedi Starfighters that have come out that I just can't see this as belonging to that family. The shape is all wrong. I was also intrigued in this set specifically at how the ship was going to be attached to it's display stand. I didn't pay very close attention to the packaging before I built it. That'll come up again I assure you. This was one fun build. I was sent for an unexpected turn right away with the interesting shapes and connections. Nothing extraordinary, all legal and boring but generally not what I would expect. At first it seemed like I was just stacking a bunch of stuff together with no rhyme or reason like my kids do. It slowly began to take shape and only a small amount of asymmetry was involved. The single wedge plate causes some studs on one side and not the other. But one portion of one side is beautifully mirrored by using a newer 2x2 inverted tile where the other side uses a standard 2x2 tile. One portion of the build uses two 1x2 plates where it would appear that a 2x2 plate would actually be a touch more stable. But then it was clearly revealed that the anti-stud under the 2x2 would have caused problems. Instead, the bars under the 1x2's were used to settle into some hollow studs underneath much like the use of an otherwise pointless 1x1 technic brick in the AT-ST that comes with the Endor planet (not to be confused with the eponymous moon in this set). I was disappointed with a few things in this set. First, the cockpit is quite rigid. It doesn't swing around when the ship is rotated. Sure, you can simulate this by turning the cone on it's only connection, a single stud. But why bother? Both the cone cockpit and the rear round brick can accept an axle inserted into them. 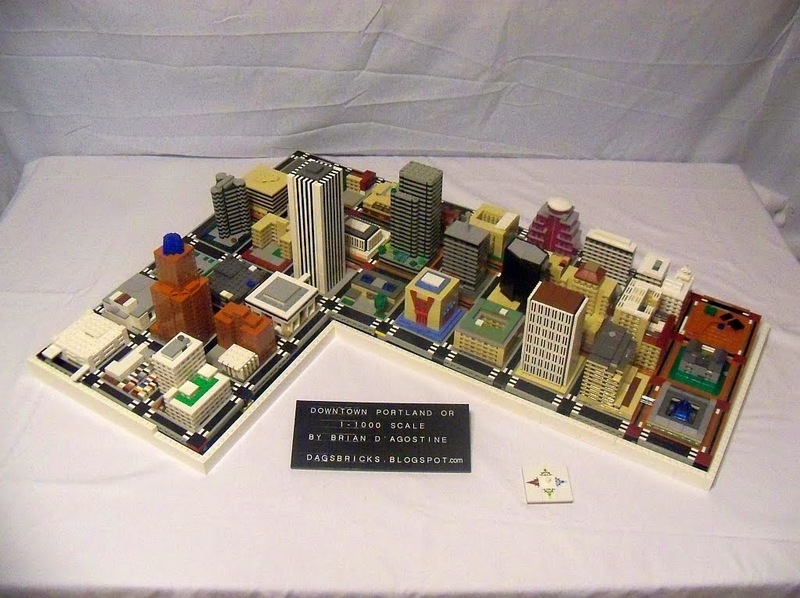 Why not break out a few technic pieces and really make this thing spin? That's why you invite the B-wing over for a few drinks, right? To watch his head spin? The other disappointment was the pilot's visor. It doesn't sit quite right on that helmet. It's sort of half up, half down. If you try to push it down then it springs off and goes down the heater vent. It's more like a ballcap and less like a catcher's helmet. I'm a big stickler for following the instructions, especially when a polarized part is used. So I made sure to be extra careful that my daughter put the lightsaber hilts on to the telescopes just right. Then I checked the package. Wait, oops, did she do it wrong? No dear reader, your eyes do not deceive you. Somewhere between the engineers and the marketing department, things got a little confused. As usual. 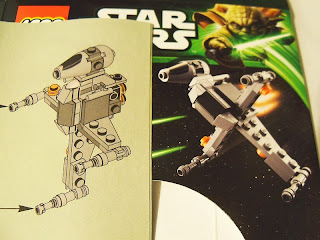 Given TLG's recent generosity with extras, this set contains enough parts to make a whomping blaster that makes the official one look like a 3" water pistolino. 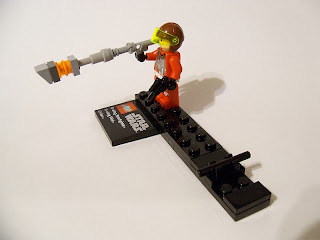 You get an extra hose nozzle, lightsaber hilt, 1x1 plates (square and round), and a cheese slope. Mr. Halfvisor needs to lean way back in order to actually hold this thing level to fire it. Is that a mega blaster in your pants or are you, well, you know. The only other extra is another visor which I still don't know what else to do with. "Say 'hello' to my littl- OOF this thing is heavy!" At this point I would make some sort of recommendation about purchasing it based on the number of parts. Let's throw that metric right out the window. If you're not European, you will only be purchasing Planet Series 4 sets due to an obsession. I felt extremely lucky to have only spent about $15 each for these, including shipping. That took weeks of research, several emails, and a little bit of organization. I spent some time on the French and Spanish Amazons and came out around $18 each but last I heard those outlets were dried up. Amazon.com will yield one for $25. You can expect to spend at least that much on one from ebay as well. Best bet is still at Varko.cz where shipping to the US is cheap.